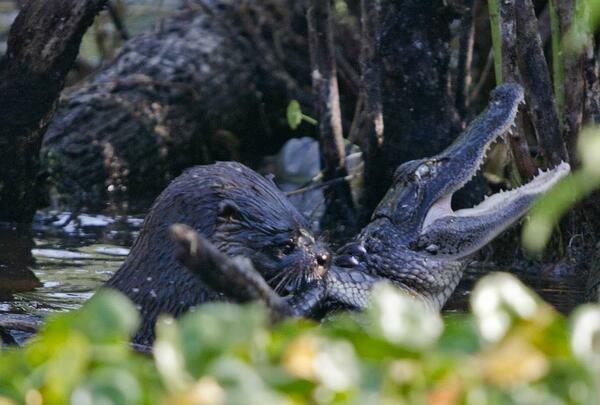 An otter preys on a alligator at Lake Woodruff National Wildlife Refuge in Florida. The otter eventually pulled the alligator up on the bank and proceeded to consume it, as evidenced by crunching noises. They were no longer visible at that point, but the alligator was done resisting when dragged out of the water. Despite their disarmingly cute appearance, otters are the apex predator of many freshwater habitats.